A reflection shot of a camouflage painted Tornado taken by Paul Tibbs. 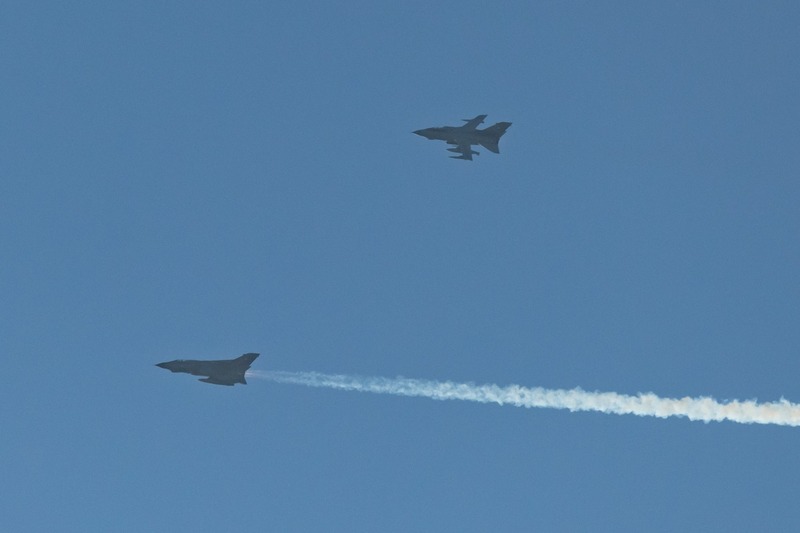 RAF Marham waved goodbye to the Tornado GR4 fast jet in style with a unique aircraft formation to celebrate its 40 years of service. 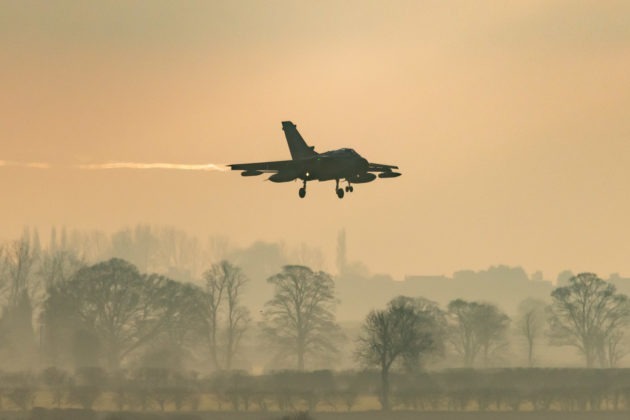 The Tornado is being withdrawn from service on March 31 after forming the backbone of UK airpower. 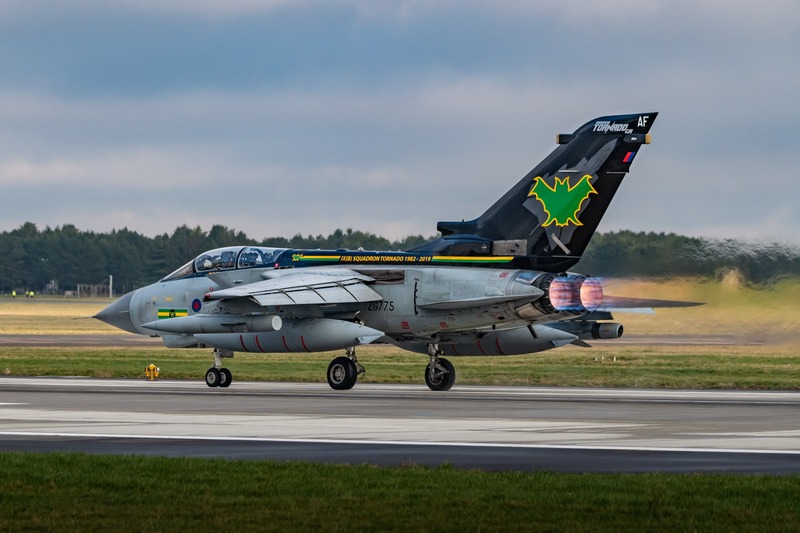 Three training variants of the Tornado were decorated with special markings, including a camouflage scheme which the aircraft sported in its early career. 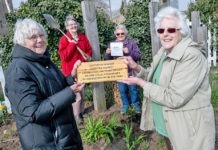 The three aircraft flew in formation around the base and a pair of F-35 Lightning stealth fighter jets and two Typhoons also took off from the runway – much to the delight of enthusiasts who gathered to see the spectacle from beyond the perimeter fence. Station Commander at RAF Marham, Group Captain Ian (Cab) Townsend, who led the formation last week, said: “I was immensely proud to have led the tail art formation, our first event which celebrates the imminent retirement of the Tornado after almost 40 years. The Tornado first entered RAF service in 1979, principally in the Cold War nuclear strike and interdiction role. Its combat debut in the 1991 Gulf War heralded a period of near continuous operations which continues today. 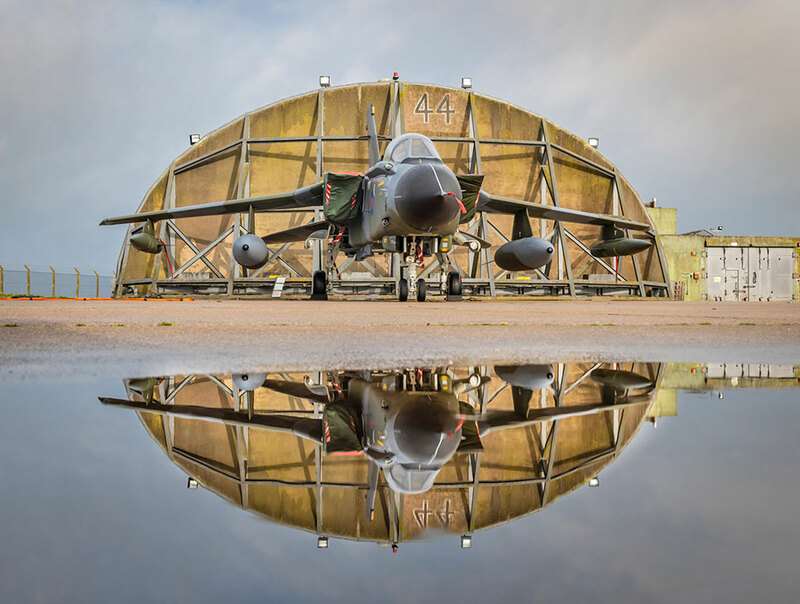 Now, 28 years after its first missions, the RAF’s two remaining Tornado squadrons, IX(B) and 31 Squadrons, both based at Marham, remain on operations in the Middle East. 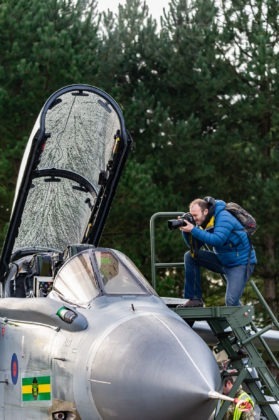 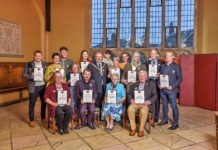 Flight Lieutenant Nathan Shawyer, 27, the last pilot to qualify on Tornado, said: “I wasn’t born when the Tornado first entered service with the RAF. “It was a privilege to fly on the training sortie which also captured fantastic imagery of this iconic aircraft. Defence secretary Gavin Williamson announced Marham’s F-35 Lightning jets were ready for deployment as he looked ahead to the next century of the RAF during a visit last month. 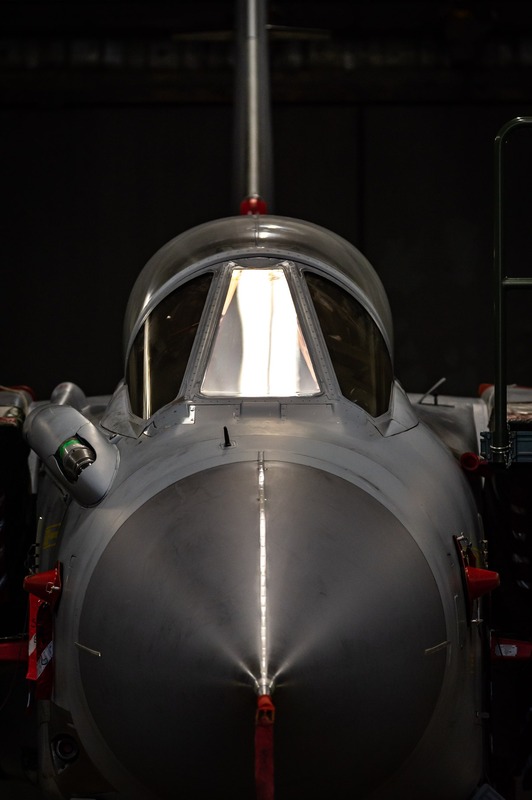 Mr Williamson unveiled the Marham’s new Lightning hangar and training centre, which forms part of a £550m revamp of the base. 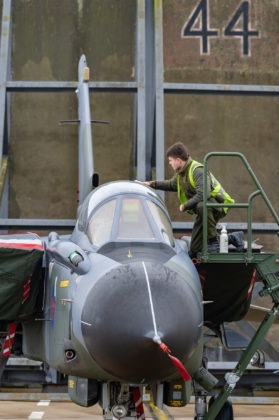 The UK’s Typhoon fleet has also been upgraded with a state-of-the-art complex weapons suite.